This year’s Cantor medal of the Deutsche Mathematiker-Vereinigung (DMV) goes to Michael Struwe, professor of mathematics at Eidgenössische Technische Hochschule (ETH) Zürich. 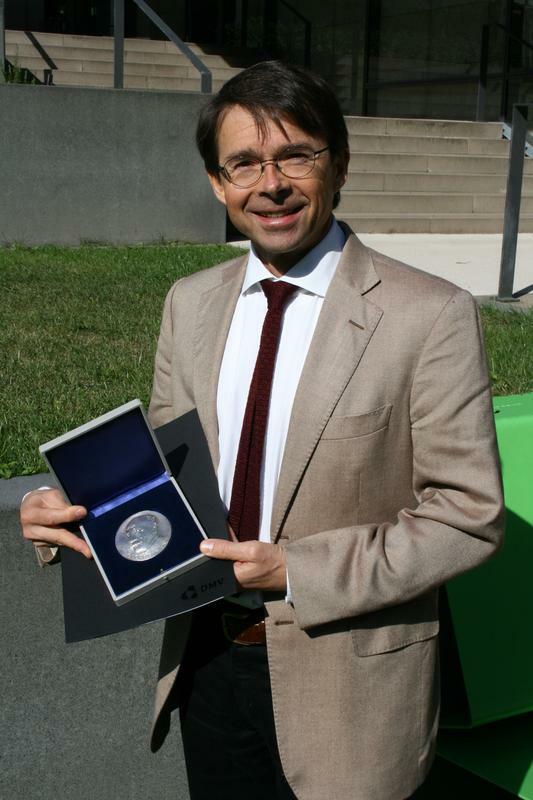 The Cantor medal is the most prestigious scientific award, handed out by the DMV. This year’s von Kaven-prize of the Deutsche Forschungsgemeinschaft (DFG) is granted to Eva Viehmann, mathematician at Technische Universität München (TUM). Micheal Struwe obtains the Cantor medal in recognition for his outstanding achievements in the field of geometric analysis, calculus of variations and nonlinear partial differential equations. The prize, which is worth EUR 4.000, is awarded every second year (at most) by resolution of the executive committee of the DMV. Struwe, born in 1955, studied and obtained his doctorate at the University of Bonn. After research stays in Bonn, Paris and Zurich, Struwe became a professor at ETH Zurich in 1986 (since 1993 full professor). Two years before, he received the Felix Hausdorff-prize of the University of Bonn and in 2006 the Credit Suisse Award for the best teaching. Moreover he is editor and co-editor of different renowned professional journals and series. The von Kaven prize, awarded every year by the DFG, is presented traditionally at the opening ceremony of the annual convention of the DMV. This year’s recipient is mathematician Eva Viehmann from Munich for her excellent work in the field of arithmetic algebraic geometry. The prize money of EUR 10.000 is offered by a foundation that was founded in 2004 by the mathematician Herbert von Kaven from Detmold (Westphalia). The foundation is managed by the DFG. “I sincerely congratulate the awardees on the honour. Both of them showed, that there is still a lot to explore and discover in mathematics”, said Professor Christian Bär, president of DMV.